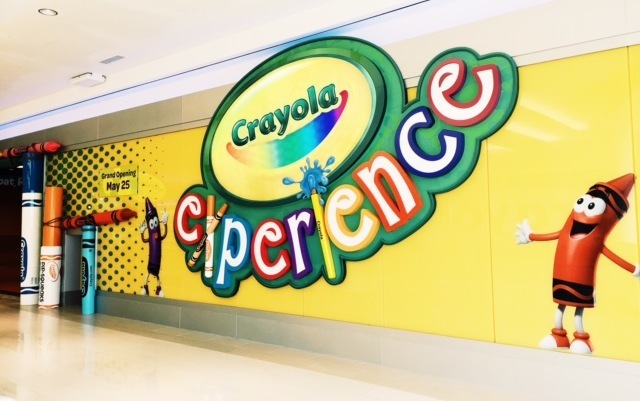 The Crayola Experience is finally open at the Mall of America! Announced last summer, the store opened its doors in late May, and has since become a popular exhibit for both children and parents alike! The MoA Crayola Experience is the third of its kind, with two other locations in Orlando, Florida, and Easton, Pennsylvania, and features over 25 activities and fun exhibits for visitors to take part in. These include coloring stations with thousand of crayon colors to choose from, interactive glow-in-the-dark doodle boards, modelling stations with Crayola Model Magic clay, digital photo booths, drip art exhibits, and much more! The Crayola Experience also features a cafe for hungry kids to recharge, as well as a Crayola Store for customers to take home some Crayola memorabilia of their very own. The Crayola Experience is open every day from 10AM to 7PM, so go and check out this cool and fun new interactive store for yourself!